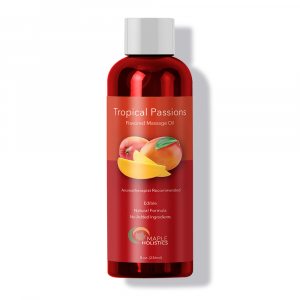 Spice things up in the bedroom and nourish skin with our sensual massage oil. Seduce and bewitch your lover with your magic touch to help them wind down, and then rile them back up for a night full of passion. The rich blend of jojoba, sweet almond, lavender, ylang-ylang, clary sage, and vetiver work in synergy to create a captivating hot, spicy aroma that gets you both in the mood. Glide your hands up and down the body to relieve muscle tension and send sensual shivers up and down their spine. 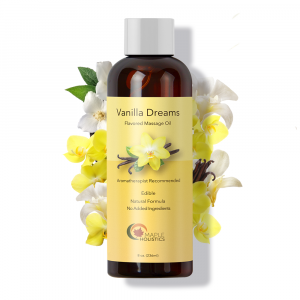 This oil is non-greasy, non-staining, and paraben-free making it suitable for sensitive skin. Use an appropriate amount for the area of the body. Massage gently into skin. Wipe away excess oil with a warm towel. Jojoba Oil, Sweet Almond Oil, Lavender Essential Oil, Ylang Ylang Essential Oil, Clary Sage Essential Oil, Vetiver Essential Oil. 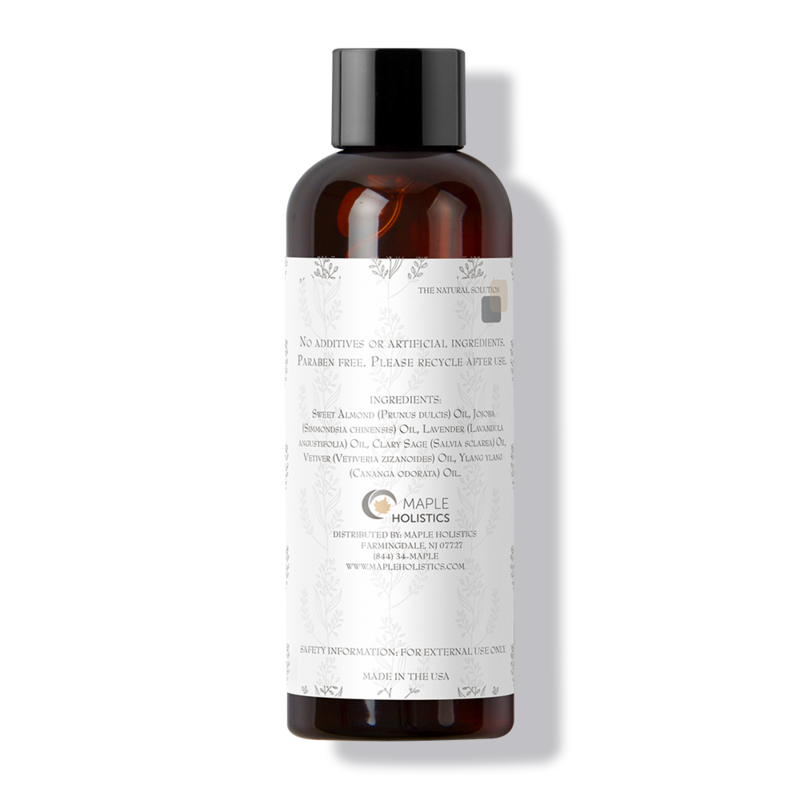 We have been using this oil for about one year and we love it. The smell is amazing and it does not leave a greasy feel. 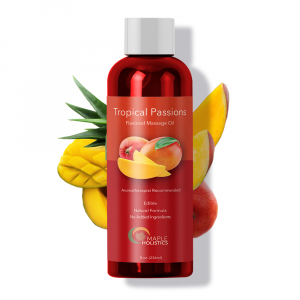 Great product…..very sensual!!! Absolutely love this and it smells amazing! Not greasy and is super moisturizing! 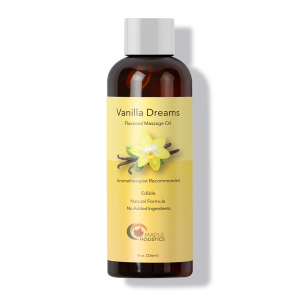 I received a sample of this Maple Holistic Sensual Message Oil, never used or thought to much about oils, until this one and all’s I can say is AWESOME, now I am trying to purchase every product Maple Holistic produces.